Volume 3 is here! 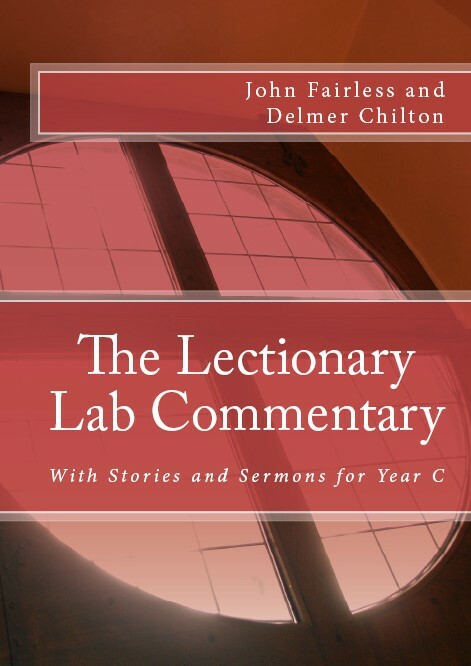 The Lectionary Lab Commentary for Year C.
Delmer Chilton and John Fairless, the pastors known as “Two Bubbas and a Bible,” have written a simple introduction to their preaching practice — a method that has been refined through their combined 50+ years of pastoral experience. Beginning, as always, with the biblical text, Chilton and Fairless take preachers through the steps that can maximize study time, uncover illustrations from everyday life, and energize the oh-so-important task of preaching in congregations of all sizes. Delmer, you reference Fred Craddock several times. Is there a particular book you quote from or is this general knowledge. I regularly use “Preaching Through the Christian Year” a three volume commentary on the Revised Common Lectionary published by Trinity Press International. Dr. Craddock writes the commentary on the Gospel passages. I read a lot of other stuff, but Craddock is the one I find most helpful and most quotable.